The household name and cultural phenomenon Udo Jürgens was and is one of the most influential post-war German-speaking artists. Born Udo Jürgen Bockelmann, the son of a northern German mother and Russian father, the future performer was interested in music from an early age. Before the age of ten, he owned a harmonica and an accordion. His serious study of music started when he entered the Klagenfurt Conservatory in 1948. He started to compose his own songs and in 1950, at the age of 16, won 1st prize in an Austrian Broadcasting contest for his song "Je t'aime." After finishing high school, he founded his first band, the Udo Bolan Band, and also worked as a composer, conductor, musician, and singer for a radio studio in Klagenfurt. At the age of 20, he landed his first record deal with the Helidor/Polydor label and adopted the stage name Udo Jürgens. His first album met with limited success, but he continued making public appearances in various constellations in Austria and southern Germany, during which time he gained a reputation as an excellent jazz pianist. During the years between 1958 and 1966, Jürgens also appeared in several feature films. The year 1960 won Jürgens widespread attention when he took the award for best solo artist with his hit "Jenny" at the music festival in Knokke, Belgium. Thereafter, he composed the international hit "Reach for the Stars" for Shirley Bassey and would later go on to compose songs for Quincy Jones and Sarah Vaughn, among others. For three successive years, he participated in the Eurovision Song Contest, making an impressive showing each time and finally taking away the top prize for Austria in 1966. In 1967, he signed a new contract with Ariola and in the following years completed a number of successful tours in both East Bloc countries and Western Europe. By this time, his compositions were being sung in multiple languages and by international artists such as Brenda Lee, Sammy Davis, Jr., Bing Crosby, Al Martino, and Nancy Wilson. Jürgens' songs were topping charts and winning accolades around the world. In the 1970s, his songs became hits not only in Europe, but also in Japan and South America. He toured these continents as well as North America. In 1978, the song "Buenos dias, Argentina" became the biggest hit of Jürgens' career, reaching gold status in only 5 weeks and platinum in just 2 months. He took home an American Country Music Award and appeared on the U.S. talk show The Merv Griffin Show. Jürgens was famous both abroad and at home. 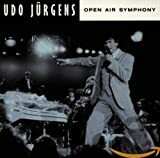 A poll conducted in 1980 revealed that 95% of Germans knew who Udo Jürgens was! During the 1980s, Jürgens received more play on German radio than any other artist and received music awards and professional honors too numerous to count. Album after album was a huge success and he continued to tour the world, adding concert goers in South Africa and China to his already massive fan base. In 1993, he was bestowed with the ECHO Award and in 1999 an honorary Bambi Award for his decades of artistic contributions to German culture. In 1999, he used his celebrity and wealth to found a non-profit organization to benefit orphaned children and other young people in need of assistance. Since he began in the music business over four decades ago, Udo Jürgens has created an immense body of work. He has produced numerous albums, written around 800 songs, and collaborated with multiple artists on a variety of projects. Sometimes he has solicited the help of other songwriters to help pen the lyrics appropriate for his music. His ability to adapt to changing musical styles -- from piano-accompanied orchestra music and quick dance tunes to songs tinged with disco, rock, reggae, or country sound -- has undoubtedly contributed to his sustained success. Though he has sung many love songs, he has also used his music to address real world problems, such as the arms race, the environment, drug abuse, overpopulation, and rampant materialism. Jürgens' impact on the German music world is immeasurable. His musical contributions, including his admirable poetic use of the German language and his ability to artfully integrate the German language with a variety of musical styles, laid a solid foundation for the following generations of German-speaking musicians. And his musical output continues to grow. 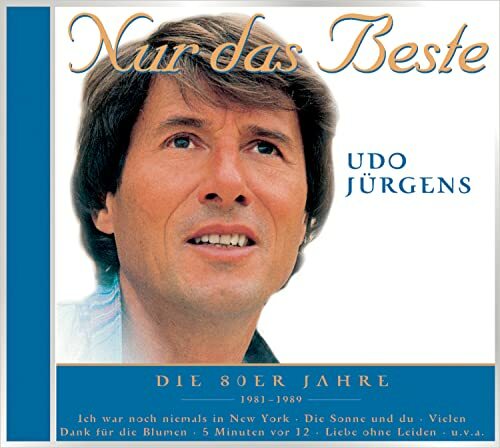 Jetzt oder nie (2005) | LISTEN This is Udo Jürgens 50th studio recorded album. He worked for 3 years to write and record 15 brand new songs. Mit 66 Jahren (was wichtig ist) (2000) | LISTEN This birthday album contains reinterpetations of 13 Udo Jürgens classics plus 5 new titles.  In the four years from 1965 to 1968, Udo Jürgens produced a record 40 albums.  He has composed and/or sung around 800 different songs.  In 1966, Udo Jürgens became the first ever Austrian winner of the Eurovision Song Contest in with "Merci, cherie". He is the only Austrian winner of the contest to date.